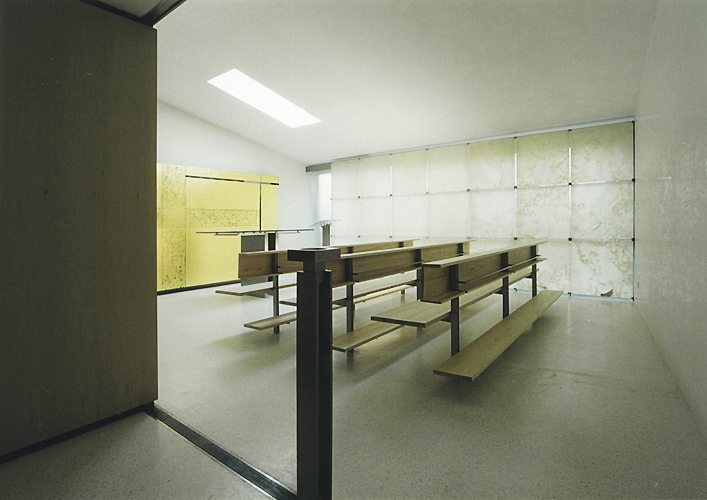 The brief was to design the interior of a chapel within a hospital extension under construction in San Candido. 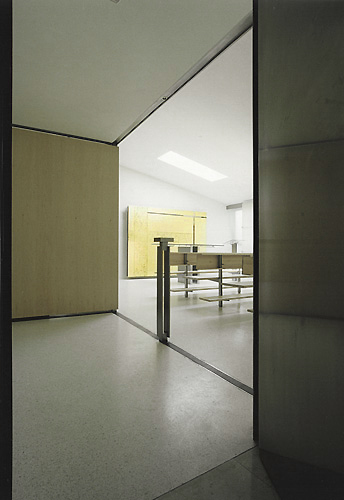 The primary concept was to create a calm and quiet retreat for hospital staff, patients and their families. 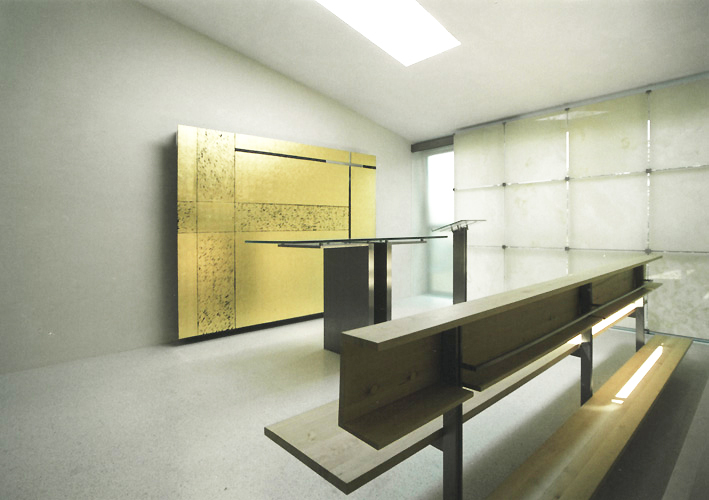 The focus was to enhance the interior with the use of refined materials such as a translucent stone facade, skylight, polished terrazzo flooring, altar furniture in brushed steel, gilded brass and glass, whilst the seating furniture was crafted with untreated limewood.